KALININGRAD, March 2. /TASS/. 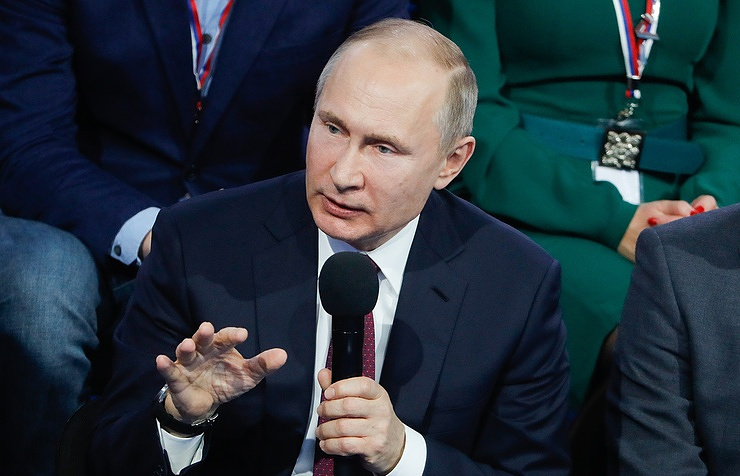 Russian President Vladimir Putin has said that, if he had an opportunity to change something in the history of the country, he would like to prevent the disintegration of the Soviet Union. He stressed, however, that he does not want to change the present day for another historical period. The head of state said as much answering questions during the Truth and Justice media forum organized by the Russian Popular Front. When asked which of the events that happened in Russia he wanted to change, Putin answered, "The collapse of the Soviet Union," while his answer to the question what historical period he would like to live in was the following, "Today." You see, all my ancestors in the past were peasant serfs, while I am the president," the head of state explained ironically. When asked whether he has a dream, which has not come true, the president said that his goal is clear. "I want our country to be successful, powerful, stable, balanced and looking ahead," he stressed.